Kirk Mueller has practiced commercial litigation and environmental law for 30 years and has represented clients in the oil, gas, mining, and energy industries in an array of contractual, regulatory, permitting, compliance, and enforcement matters. He has briefed and argued numerous appellate cases, participated in several large CERCLA cost recovery and toxic tort actions, and secured multimillion dollar breach of contract and insurance recoveries on behalf of his clients. Mr. Mueller began his legal career in 1986 clerking for the Honorable James E. Barrett on the U.S. Court of Appeals for the Tenth Circuit. In 1987, he joined Holland & Hart LLP in Denver, Colorado, where he handled commercial and environmental litigation matters and appeals. Among other matters, Mr. Mueller assisted with the defense of a large toxic tort action brought by homeowners in Wyoming’s Powder River Basin who alleged that their subdivision had been contaminated by a nearby open pit coal mine. He also served as an exchange attorney with the Denver City Attorney’s Office and prosecuted domestic violence cases. In 1993, Mr. Mueller became in-house counsel to the Atlantic Richfield Company (ARCO), a Fortune 30 oil company with offices in Denver. As a member of ARCO’s environmental litigation group, he managed several of the company’s “legacy” liabilities at former operation sites across the West and organized and supervised the defense of one of the nation’s largest CERCLA cost recovery actions, United States v. ARCO. As counsel to ARCO Coal Company, Mr. Mueller handled a wide range of regulatory permitting and compliance proceedings involving surface and underground coal mine operations in Colorado, Wyoming, and Utah. He also managed the litigation of coal supply contracts and assisted the company with various employment, health, and safety issues. Mr. Mueller returned to private practice in 1998 to represent plaintiffs and defendants in commercial litigation and environmental matters. Most recently, he has represented oil and gas producers in lawsuits challenging the improper imposition of ad valorem taxes on mineral production by special metropolitan districts. On behalf of individuals and corporations, Mr. Mueller has successfully litigated several insurance coverage cases involving multimillion dollar claims for commercial and environmental liabilities, two of which led to precedent-setting decisions by the Colorado Supreme Court. 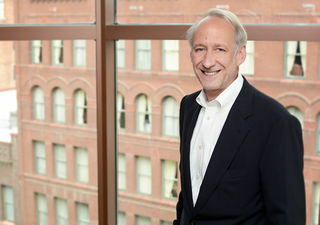 Mr. Mueller also participated in the defense of the prime defendant in a $200 million CERCLA cost recovery lawsuit brought by the U.S. and the State of Colorado relating to the Summitville Mine and represented parties in a large, multiparty CERCLA suit brought by the Colorado School of Mines. He has represented mining companies in title disputes and long term mineral leases and purchase contracts. Mr. Mueller also represents natural resource clients in connection with enforcement actions, rulemakings, adjudications, and permit hearings at the state and federal level. He participated in all facets of applying for, negotiating, and securing various state and federal permits, including Clean Water Act permits from the U.S. Army Corps of Engineers, for the construction of a 150-mile long liquid petroleum pipeline by Marathon Ashland Pipeline Company. He successfully defended the permit against legal challenges based on NEPA. He has also represented landowners seeking injunctive relief and damages for trespassing pipelines and interest owners in disputes over their rights pursuant to long-term gas processing contracts. In 2007, Mr. Mueller joined Davis Graham & Stubbs LLP, where he continues to counsel and represent clients in litigation, natural resources, environmental, regulatory, and appellate matters. Mr. Mueller currently serves on the Host Committee for Dine for the High Line.